So it appears that Da Vinci was reading an advertisement for the Economist magazine. Then our choices would seem to be either spend it or convert it. Any other options? That's a much better use of funds sitting in the bank. On New Year's Day, NASA's New Horizons space probe sent back the first clear images of the furthest object in space ever visited by a NASA craft. The Latin phrase "Ultima Thule" means "farthermost Thule" to designate "beyond the known world." 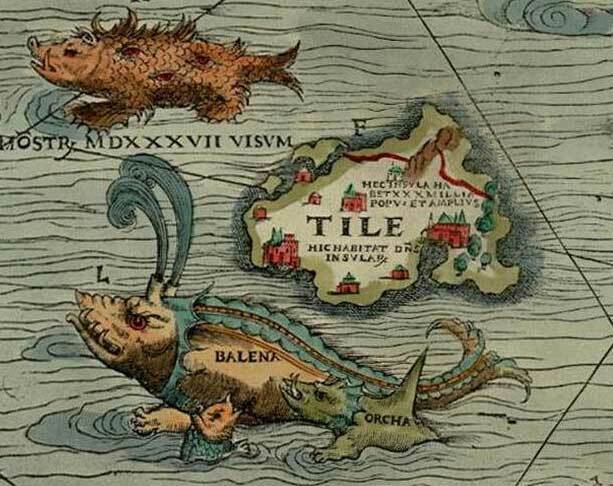 Thule ("Tile") was what ancient Greco-Roman mapmakers named the furthest point North on the globe. The Thule people are the ancestors of Inuits from Greenland, for whom the Thule Air Base is named. Unlabeled northernmost island on this map is thought of as Thule. In Disney's Island at the Top of the World (1974), explorers visit the northernmost island, and one scientist decides to remain permanently there to study the place as a "final refuge" for man in case the rest of the world should be destroyed. Something predicted for January 19, 2019? All explanations welcome. Part II to be published by early next week, Jon has promised. Amazing. Had we even heard of Ebola in 1997? Very rarely. It was first clinically described in the late 1970's as something novel, exotic and well-contained in remote parts of Africa. Yea aren't we all glad its just "Sci-FI" .. The film, with a scale rivalling Hollywood space epics like Interstellar and Gravity, is a hit among moviegoers and has raked in more than 2.3 billion yuan (£264 million) since its release on February 5, the first day of the Lunar New Year, according to box office tracker Maoyan cited by Xinhua. He may have received some threats recently, and being that he has a wife and baby it seems he might have taken the threats seriously and dropped the story completely, as I don't remember Part II ever materializing. If it ever does, I'll gladly post about it! Does anyone have an idea as to what may have happened around the end of January, MSM or not?